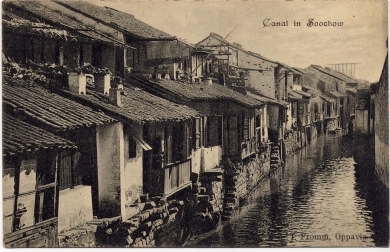 Action: Low houses with tiled roofs along a stone-faced canal. Doors open to projecting stone slabs forming steps leading down to water level. Several roofs support chimneys and/or drying racks.